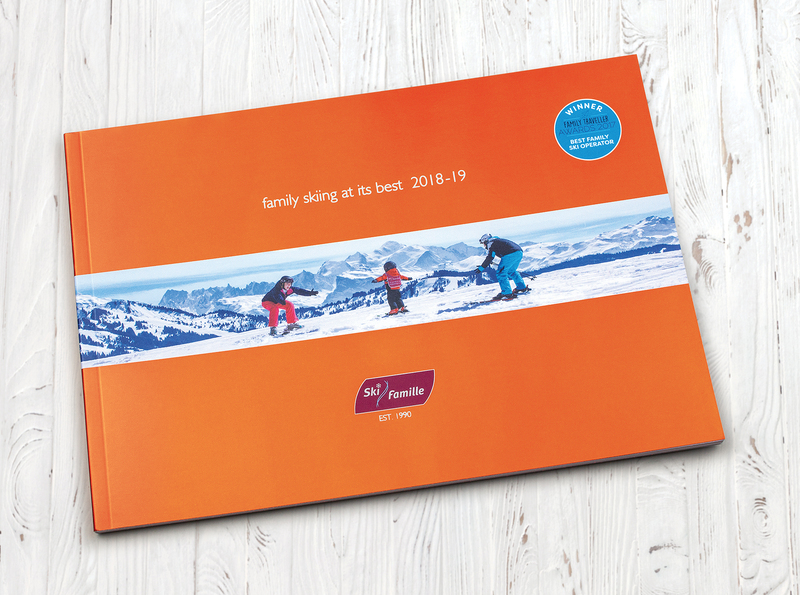 Established in 1990, Ski Famille are well know and respected throughout the family skiing market. 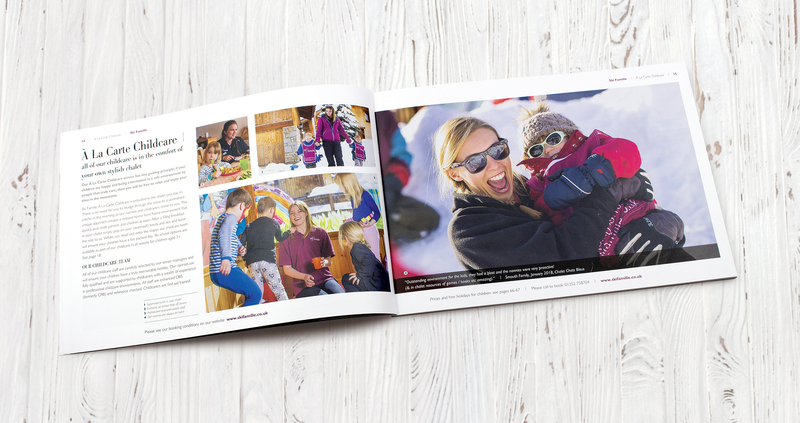 The company offers high-end family skiing holidays in France with their exclusive ‘À La Carte Childcare’ for children aged 0-12 years available in all properties. After a change of ownership, a fresh approach to their projection was required. 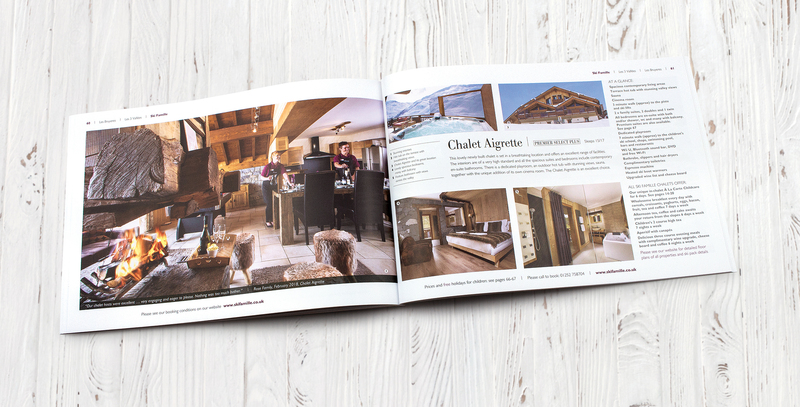 After a rocky start with a local agency, Vertigo Design was approached to refine and improve their look and feel. 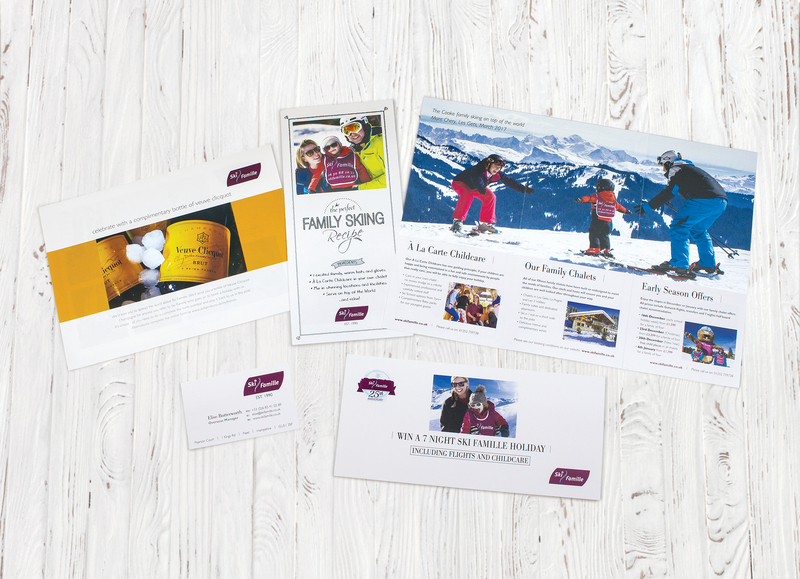 Ski Famille requested a completely fresh look to set them apart from their competitors. Only the logo should remain unchanged as it was known in the market. After much discussion and learning on our part we agreed upon the direction the company wished to take for the mood and tone of all marketing collateral. 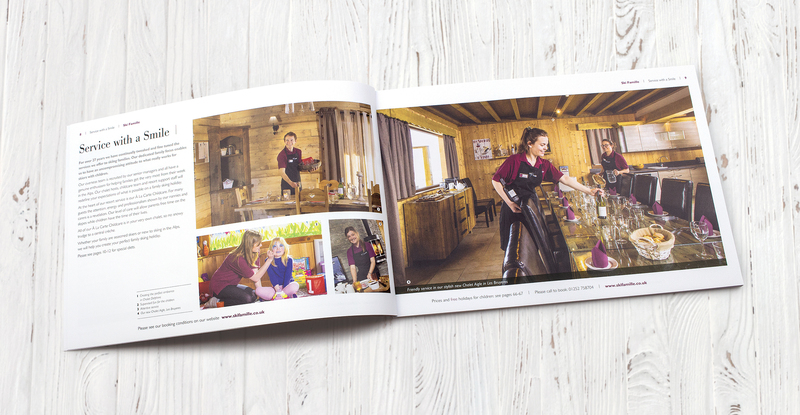 The first stage would involve a redesign of the main brochure – this would set the tone both visually and for the style the copy was written in. 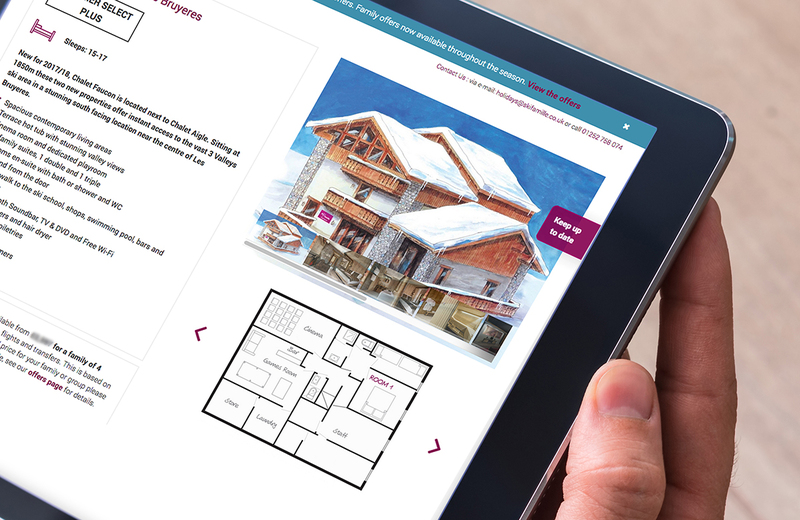 From this, the tone would be set and implemented across all other marketing collateral. 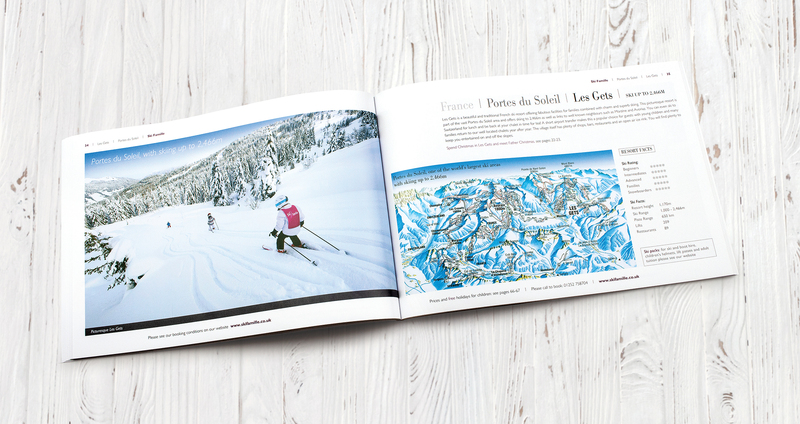 We worked very closely with Ski Famille to create the right projection for the company. Their market is young and affluent with a good eye for design. We looked at their competitors to see what they were doing correctly and where they were lacking. 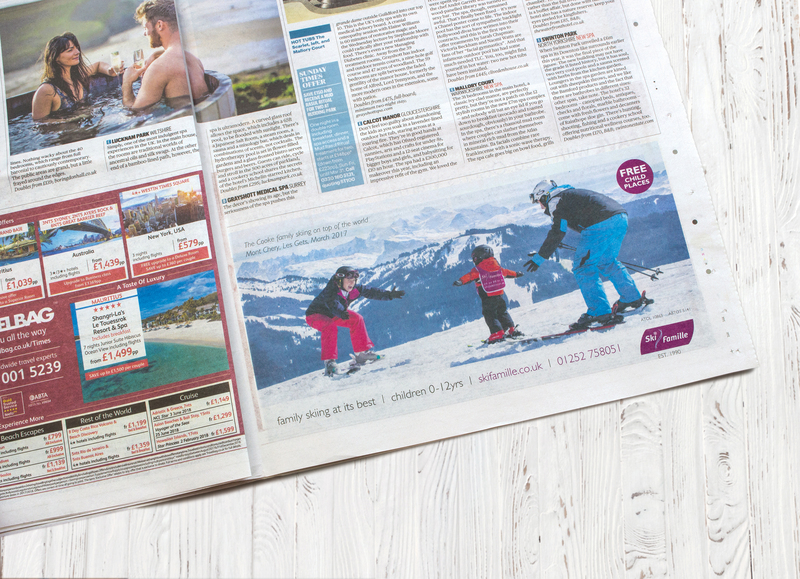 A design style was set that correctly spoke to the market with an understanding that it was often the mothers who chose which company to take their holidays with. With this in mind, the design was kept light and airy and the tone of the copy informative and clear to understand. Emphasis was placed on images that were reassuring and spoke primarily to mothers.